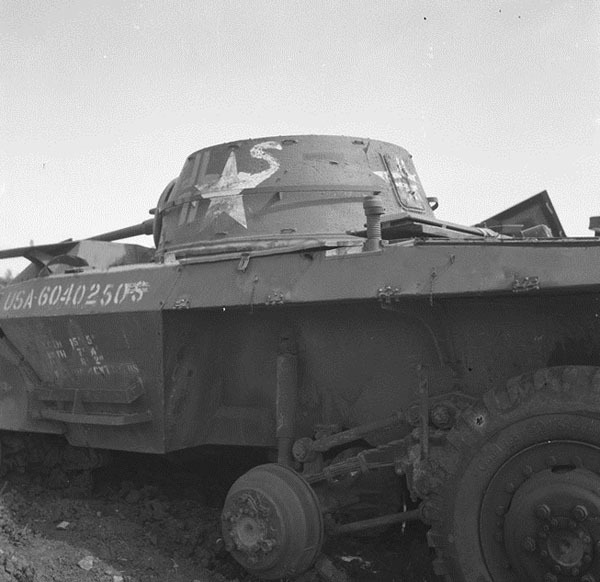 1944, mid-September, Lunéville area. 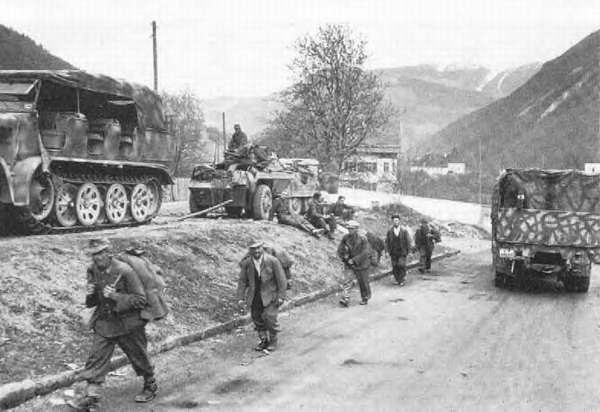 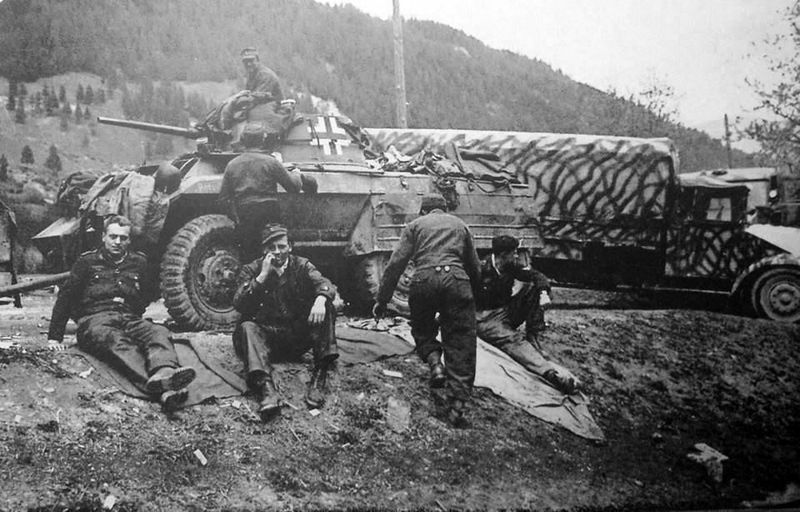 Captured M8 from the 42nd Cavalry Squadron is shown in use by Panzerbrigade 111. 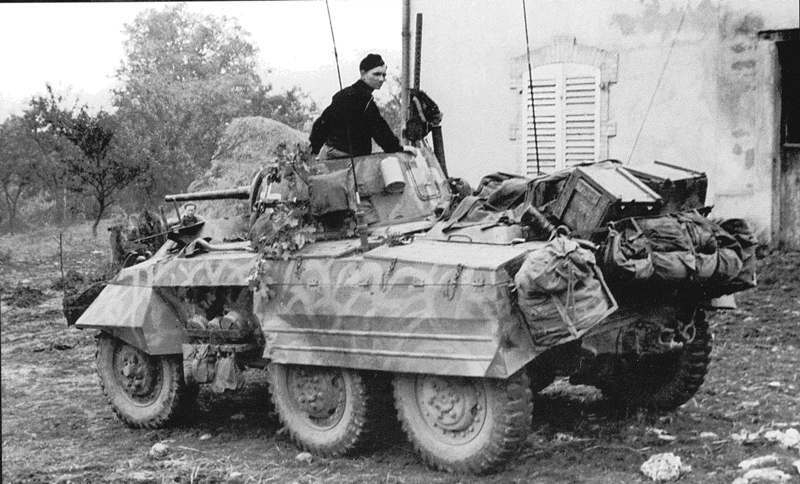 Note camo and crosses. 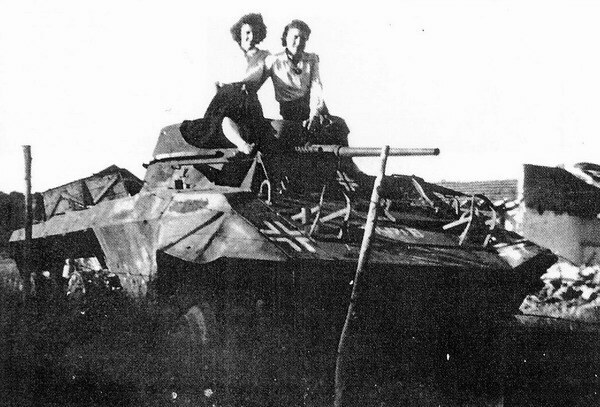 1944, mid-September, Parroy, south-east of Bures. 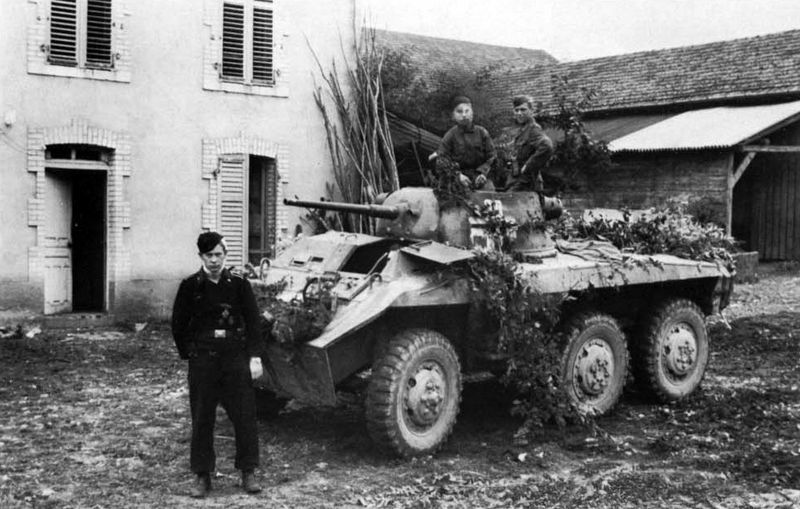 Captured M8 used by Panzerbrigade 111. 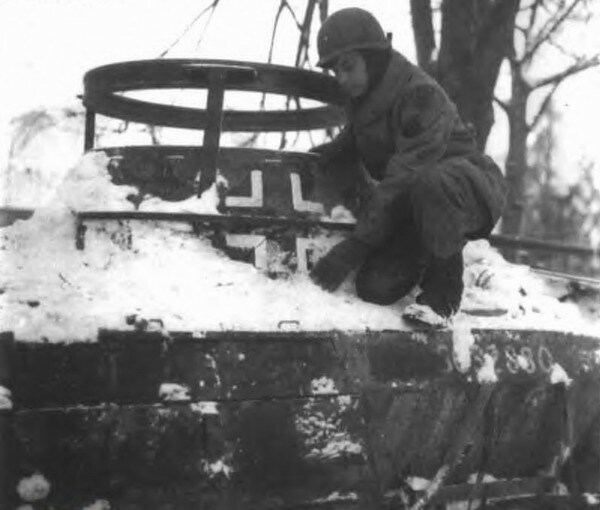 1945, 16 January, Faymonville. 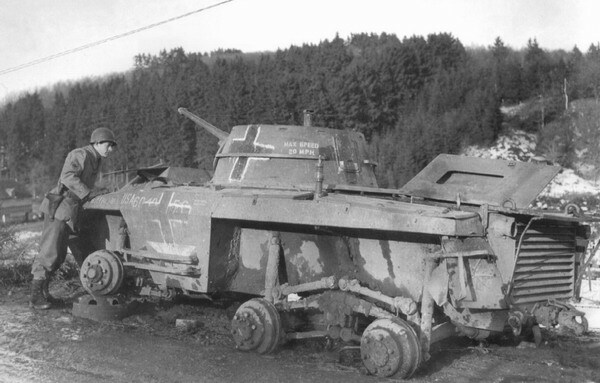 This M8 armored car was captured during the fighting in the Losheim Gap at the start of the Ardennes offensive. 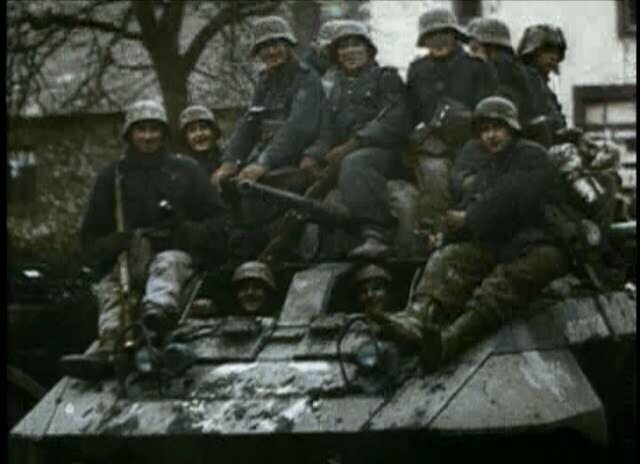 M8 belonged to 3 Fallschirmjager Division. 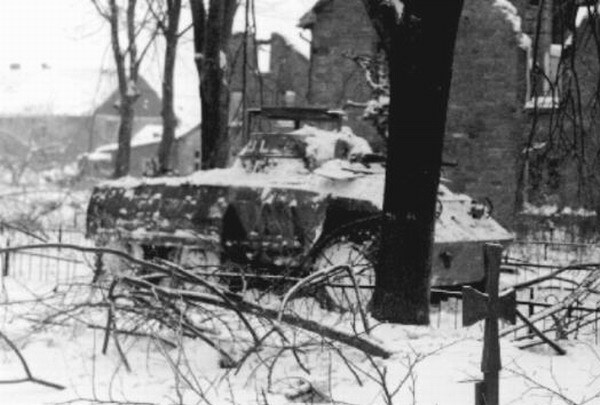 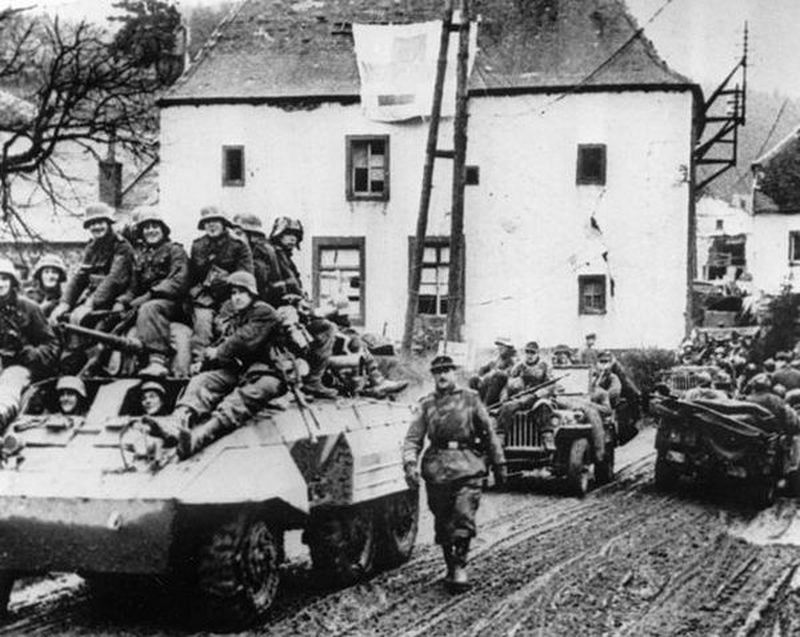 1945, 3 february, east of St-Vith. 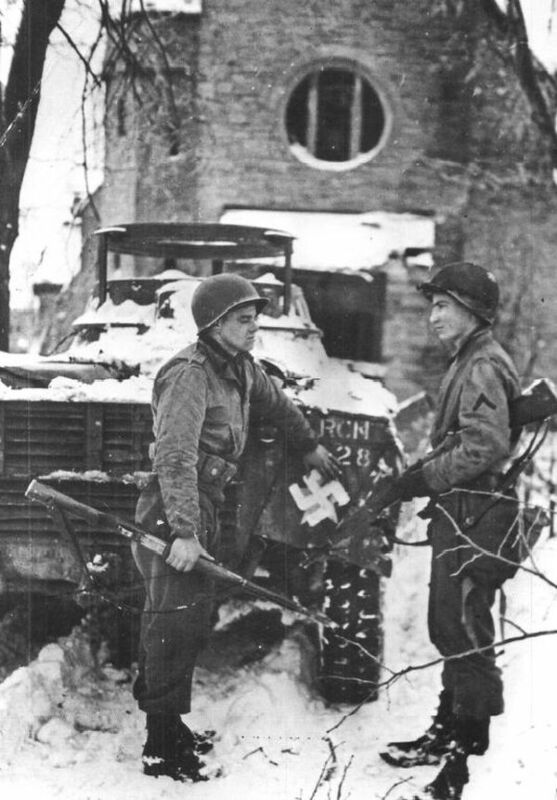 US soldier examines an M8 that had been captured and used by the Germans. 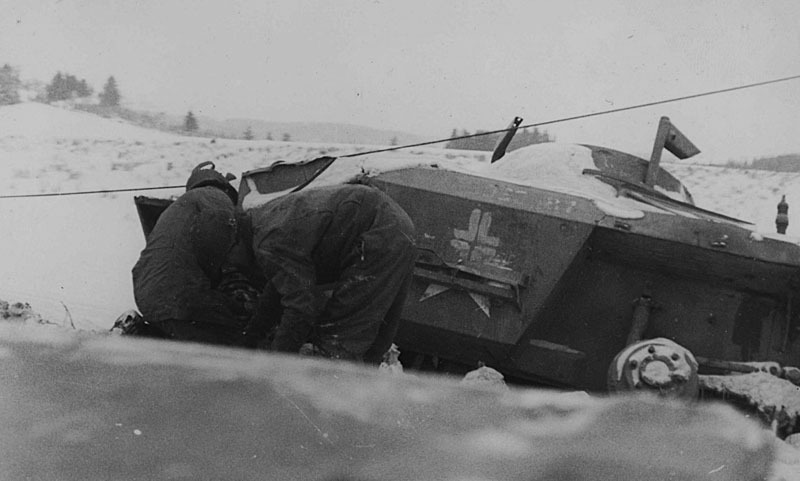 The name "Buffalo Bill" is visible just below the soldier's hand.